Newman and Gwen are professional monster hunters who work for the Creature Removal Department, but for these two, killing monsters is the easy part, it's navigating their relationship that gets complicated. Set in a modern fantasy world, Newman is a mix of comedy, action, romance, and a little bit of horror. 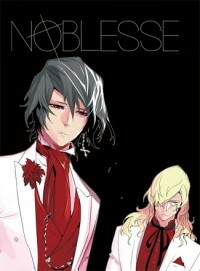 From NOIR: Yuri is a doll-like child, orphaned at a young age when her mother dies in a car accident. In her will, she requests that Yuri be placed under the guardianship of a close friend of hers, Kim Dowook. Taken in, Yuri begins a new life, different from her life before. Where will this take her, and what does she think of her guardian..? Now, an entirely new kind of lifestyle has been created. The story is set after the fall of civilization on earth due to resource scarcity. It follows the tale of Noru, a boy who shares resources with the people still left on earth. But Noru is not a savior. His goal is to record the fall of civilization on earth, to leave a record for the future generation. The precious times that you and I shared. 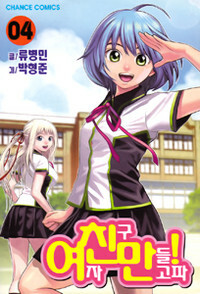 Chosen from the 2013 Manhwa Scout Selection.